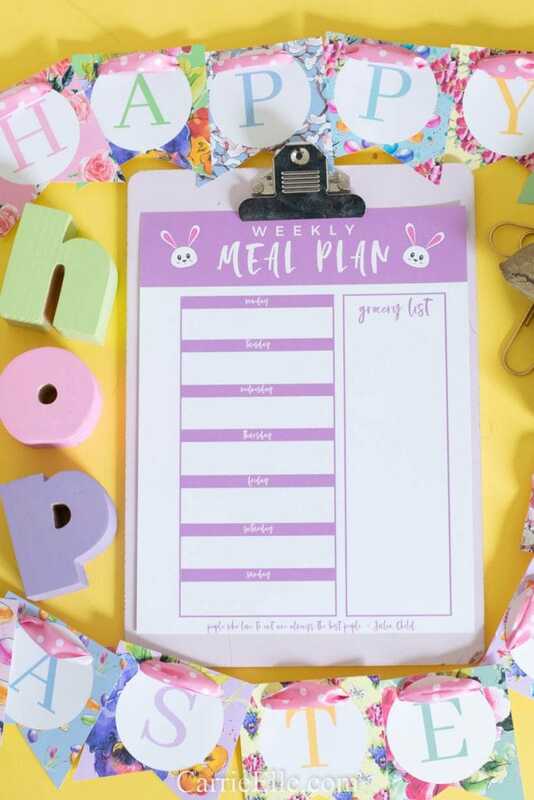 I’m about to hook it up for Easter, y’all – I’m sharing this adorable printable Easter meal planner template (download for free at the bottom of this post), but I’ve got some super delicious Easter-y recipes and a couple of pretty, kid-friendly crafts for you, too). This is the newest in a series of seasonal printable meal planner templates. 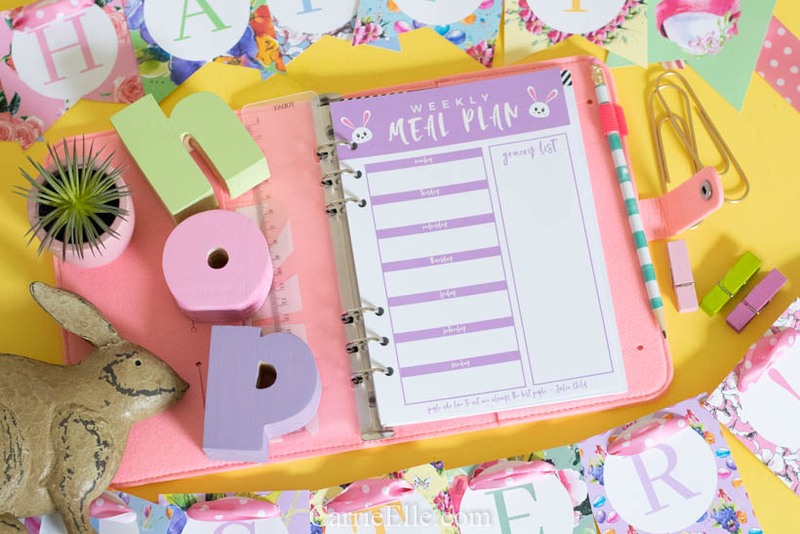 Don’t forget to grab your February and March meal planners, too! 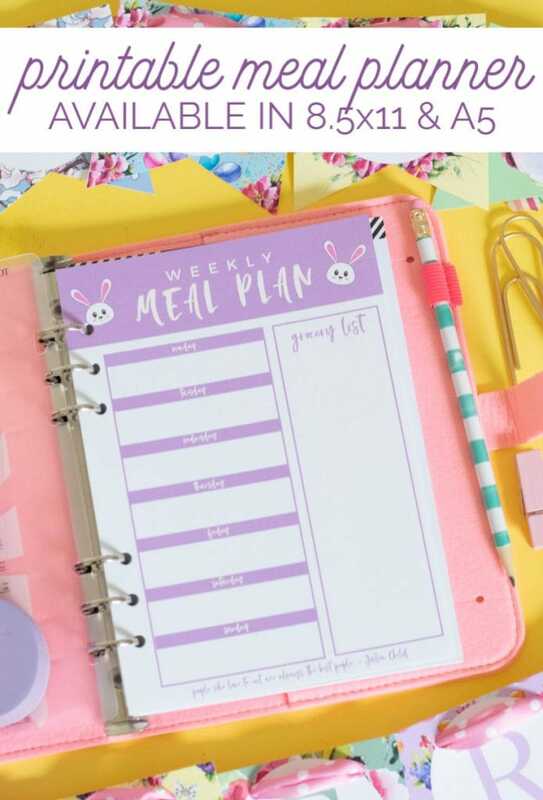 Print this meal planning template out as an 8.5×11 or as an A5 planner insert (we’re working on making everything available in A5 going forward, as well as updating a lot of my most popular downloads to have an A5 option!). Ok, now on to some tried-and-true Easter recipes for you. Most of these fall under “healthy” but I’ve included a few deviations for those of you really letting loose on Easter. Enjoy! What are some good healthy recipes for Easter? I feel like eggs are the star of the show when Easter rolls around…here’s a collection of decadent egg recipes that will impress everyone (mostly, your belly) on Easter Sunday. This Instant Pot Split Pea Soup recipe is your favorite split pea soup, but with more veggies and fewer peas. That means fewer carbs, y’all! 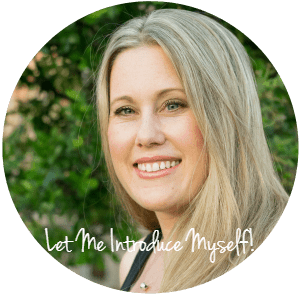 But I promise you won’t miss them – there is so much flavor in here! For those of you inclined to binge on sweets (no judgement), here are some fun Easter treats that the kids will want to help you make. This Cinnamon Bun French Toast tastes just like the real thing…but it’s got less sugar and is made with all whole foods. You’ll love it, and you can eat it guilt-free. Here’s a collection of whole foods, 21 Day Fix-friendly Easter dinner recipes (including some yummy side dishes). You can’t go wrong with roasted sweet potatoes…and these ones taste like candy. No marshmallow or brown sugar needed! What are some cute, kid-friendly Easter crafts? Here are a few fun Easter crafts to brighten your home (and keep the kids busy!). We love, love, LOVE this button Easter egg. My daughter helped me make it several years ago and it still gets a place of honor every year when we pull out the very few Easter decorations we have! Here’s a collection of Easter-themed place cards if you’re hosting an Easter dinner or Easter brunch. 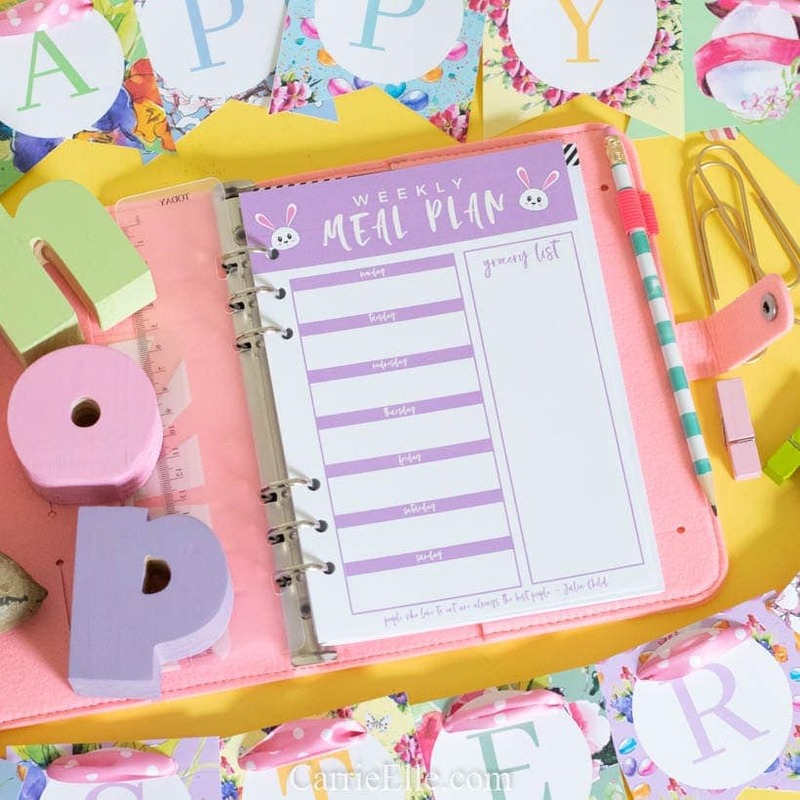 This paper Easter egg is made from scrapbook paper…it’s a great way to use up all that paper you have around the house. Every craft in this collection of Easter crafts for kids is kid-approved!